Star Wars: Rogue Squadron (known as Star Wars: Rogue Squadron 3D on the PC) is an arcade-style action game co-developed by Factor 5 and LucasArts.Set in the fictional Star Wars galaxy and inspired by the Star Wars: X-wing Rogue Squadron comics, the game takes place primarily between events in the films Star Wars Episode IV: A New Hope and The Empire Strikes Back. 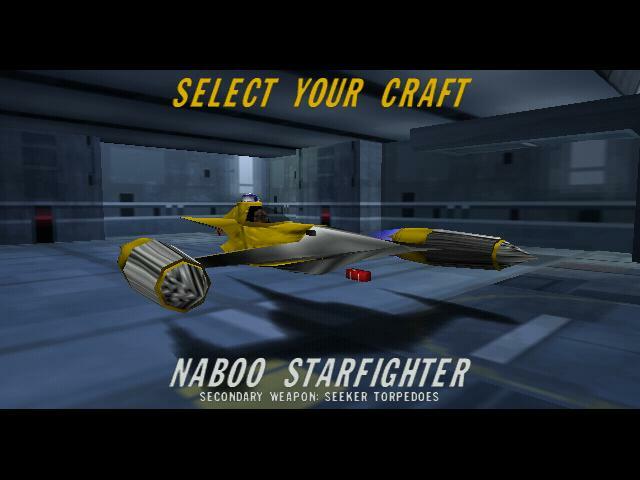 The player controls Luke Skywalker, commander of the elite X-wing pilots known as Rogue Squadron. As the game progresses, Skywalker and Rogue Squadron fight the Galactic Empire in sixteen missions across various planets. The closest thing to a mod for this game... was this. An official addon, just to drum up support for Episode I. Just The pics of all the ships in the hanger.